Photo strips are printed out in either black & white or color. Each guest or guests make their own choice. Other selections are available including Hair Style and Photo Fun. The Hair Style selection allows one guest to change their hair style from a choice of thirty different styles. The Photo Fun selection allows a guest to choose to have their four photos appear on thirty different backgrounds and borders. CD service is available where the guest/guests of honor receive a CD with all of the photos taken inside the photo booth during the event. Assistance is available for a scrap book by our attendant on site if a client is providing their own scrapbook for the event. Our attendant will come prepared with double side tape, glue sticks and specific color sharpies as requested. Other features available are photo strip holders, red carpet with red velvet rope and brass stanchions as well as photo booth props. 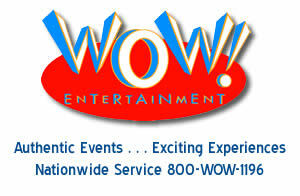 Call an event specialist at 800-WOW-1196 or 732-846-8300 to discuss your specific needs for your photo booth rental. 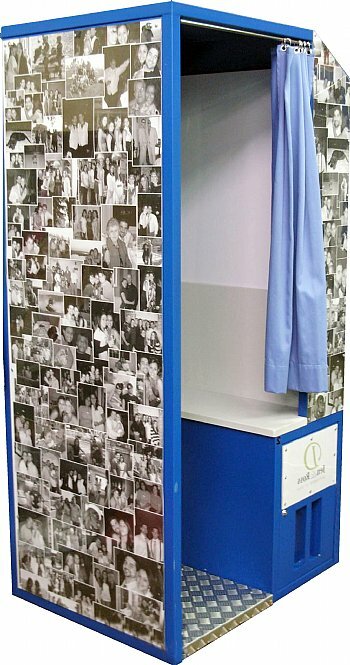 This particular photo booth started the revolution in changing the photo booth rental category and making photo booths more accessible to transport to events and parties of all types while maintaining the style of classic photo booths. 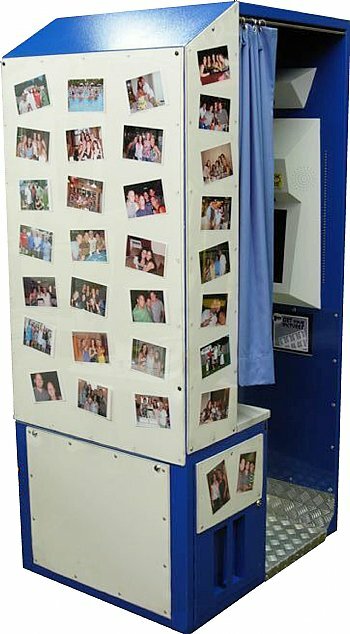 A photo booth rental previously consisted of extremely heavy and wide booths and required substantial labor to transport these items to and from events. Our first photo booth rental in the late 1990's required a twenty four foot truck due to its weight. Additionally, five individuals were required for loading in and loading out and the venue where the event was taking place had to have a flat load with a wide double door opening. 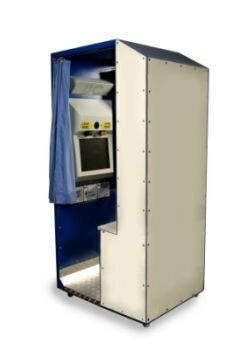 While these classic photo booths are still provided currently, event clients are gravitating to the newer style for a variety of reasons. This photo booth has been designed so it can easily fit thru a single door. The weight is substantially less than a classic photo booth and thus while it is still weighs three hundred pounds this lowered weight has reduced the logistical costs in producing a photo booth rental event. 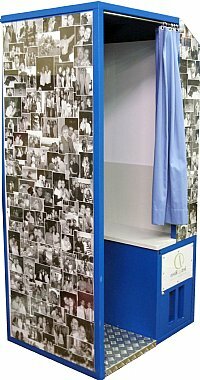 It offers different features than a classic photo booth that clients find desirable such as the ability to choose between black and white or color photo strips during the event. The style of has not been compromised as it has the structure of the classic style, there is still seating for guests with a curtain that closes and opens and classic size photo strips are printed out. 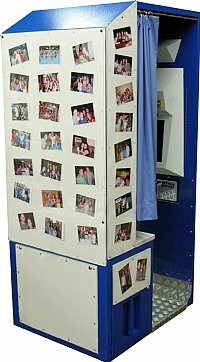 Those interested in learning more about the differences between a traditional photo booth and what is called the Pipe & Drape Style refer to the main page of the photo booth rental category.